Let’s celebrate Mother Earth and learn how we can help keep our seas free from debris! What impacts does marine debris have on marine wildlife and humans, how does trash make it into the ocean and how long will it stay there? Our 2nd annual Earth Day program includes: lesson on marine debris and how we can make a difference; beach clean-up at Asharoken Beach; an evaluation of what students discovered and hands-on time with live local marine animals that are affected by pollution. Program credit will be given if program is cancelled. Please feel free to call us at 631-239-1800 or email Ali at ams838@cornell.edu with any questions! Persons needing special accommodations should contact us at least 2 weeks prior to the scheduled program. Come and explore the beautiful sandy beaches of Long Island’s South Shore with us! We’ll look for marine creatures that call the salt marsh and barriers beaches home, and learn some fun facts about them. Make sure to dress for the weather as we’ll be walking outdoors for 1.5 hours. Weather permitting. This is a DROP-OFF program. Space is Limited!!! Pre-Registration for all programs is required. Learn the various ways to get involved with CCE Marine Program, then go on a Spring Beach Walk to investigate the reawakening of our coastal environment. We'll look for marine creatures while learning some fun activities about them. Please dress appropriately for the weather, as we will be spending most of our time outside. A new year is now upon us all and we are extremely excited about the official launching of our 2019 Back To The Bays Membership Program. Our official membership distribution will take place on April 15th, 2019. We are now accepting pre-orders of our membership for those who wish to secure theirs in advance. You can purchase your membership by clicking on the SHOP tab and following the prompts accordingly. While visiting our shop, please check out some of our other unique items that are available for purchase as well. Your support of our program is greatly appreciated, as we look forward to seeing you at our up and coming events that we have planned for 2019. PAINT NIGHTS FOR A PURPOSE! 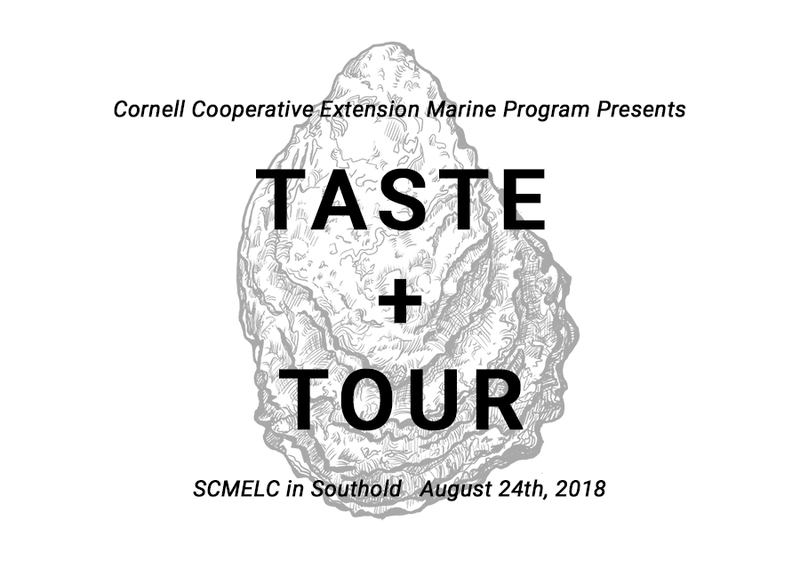 We welcome you to be a part of BUOYS FOR THE BAYS, an Art + Science initiative designed to raise awareness of, and funds to support the work of Cornell Cooperative Extension Marine Program! Working with CCE Marine Art + Science Educator Carolyn Munaco, participants will be guided through the steps to create a marine-themed painting on a reclaimed fishing buoy. We will provide the supplies and artistic guidance you need to create a marine-themed buoy for you to keep! Greenport Shellabration is a restaurant walk which features the best in local shellfish, wine, and beer! For two days, wristbands will grant participants access to enjoy the very best culinary creations of Greenport’s leading chefs. $5 small plates featuring LOCAL shellfish will be paired with $3 pours of LOCAL wine or beer. Wristbands will also get participants discounts and promotions at participating merchants throughout Greenport Village. Online sales for our 2018 Shellabration are now available at www.shellabration.li. Follow us on Facebook to get notifications about ticket sales and other important information. Green Hill Kitchen (48 Front St. Greenport) is thrilled to host the Official Kick-Off Party for Greenport's 7th Annual Shellabration on Friday, November 30, 2018. The evening starts off with a 5-course dinner and wine pairing followed by an upstairs after party! All are welcome to enjoy live music, drinks, and fun-for-a-cause upstairs at the Official Kick-Off After Party featuring The Jon Divello Band (admission to the after party is free). A portion of the evening's proceeds benefits CCE's Marine Program. Learn more HERE or to purchase tickets, please call 631-477-4900. Northforker and Kara Hoblin, of the North Fork Art Collective, are partnering to raffle off an original chalk art piece to benefit SPAT (Suffolk Project in Aquaculture Training, an Initiative of Cornell Cooperative Extension Marine Program). Tickets are being sold online HERE, and will be available during Shellabration weekend at the Greenport Harbor Brewery check in location. Raffle will be drawn on December 5 at 1pm! Eelgrass serves as essential habitat to many of our local marine species. Eelgrass meadows have been on the decline in recent decades, but CCE is working to bring them back. Restoring our local eelgrass meadows will result in the creation of habitat for many fish and shellfish species, help protect our shorelines from erosion, and improve the overall health and productivity of our bays. This free workshop will provide participants with an opportunity to learn about the importance of eelgrass while helping assemble planting units for use in local restoration. This event will take place on Sunday, November 18th 2018 between the hours of 10:00 AM-12:00 PM EST at Cedar Beach Marina located at Ocean Parkway, Babylon N.Y. 11702. Advance registration is requested, all children must be accompanied by an adult. Questions? Email Rachel Neville at ran68@cornell.edu or visit us at Eventbrite for more information. Join us as we welcome renown artist Cindy Pease Roe to our Tiana Bayside Facility for a UpSculpt Workshop. The basic materials you will need to assemble a mobile will be provided, including marine debris. However, you will need to bring your own ingenuity, imagination, and whatever you want to *upcycle"! Participants must be 8 years of age or older. Younger participants welcomed, but must be accompanied by an adult for the duration of the program. Please note that items for this event will be collected at Daniel Gale Sotheby’s International Realty located at 28080 Main Road, Cutchogue, NY 11935 on May 30th 2018 through the morning of June 2nd 2018.